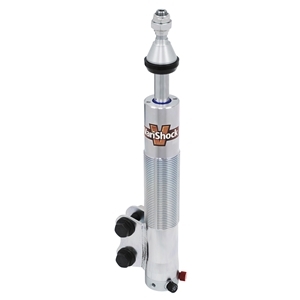 OEM-replacement VariStruts are a bolt-in suspension tuning solution for use with stock or aftermarket coil springs, or as a coil-over-conversion system to further increase tuning options and reduce weight. Selectable spring rates combined with double-adjustable (QuickSet 2) valving lets you quickly adjust the strut’s performance to cover drag racing, street use, or performance handling applications. NOTE: Compatible with most 16mm- or 3/4”-aftermarket caster/camber plates. Cannot be installed with OEM alignment plates.